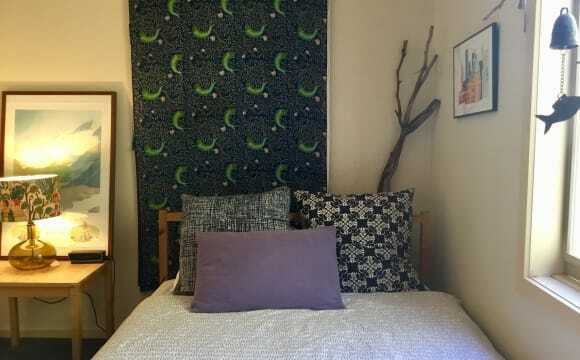 Location location location Clean and tidy apartment fully furnished fully equipped. Unlimited NBN internet. Under cover parking. As shown in photos call or message me to book a visit. Hi there! My lovely housemate is moving in with his girlfriend. We've had 12 wonderful months together but now my furnished spare room is available again! Furnished room includes queens size bed and bedside tables. The house is a quiet, two bed-room townhouse with balcony. Within a block of 10 townhouses. Feels homely and relaxing! 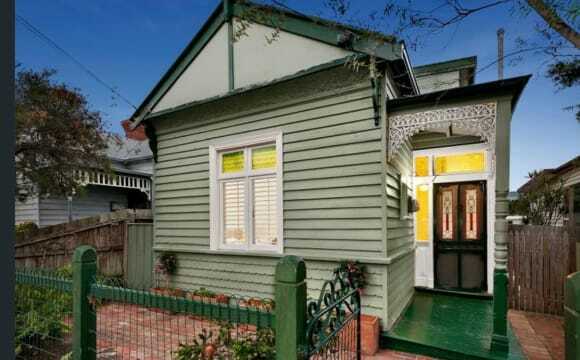 LOCATION: Ripponlea is a cute little suburb between St Kilda East - Elsternwick - Elwood. Short walk to Ripponlea train station (2min), new Coles Express (1min) and coffee shops (2min). Short bike-ride to Elwood Beach and 8km from the CBD. SEEKING: Someone aged 27+ or mature minded. Ideally someone with focus on work during the week and who enjoys a wine or beer on the weekends (or after a long day at work!). Beautiful townhouse in the perfect position! Seconds from public transport, cafe, shops and minutes from the beach. This two storey property features two bedrooms, each with their own bathroom/shower. Large open plan living area upstairs (floating floorboards). Open plan kitchen with stainless steel appliances (gas hobs, electric oven, rangehood and dishwasher), dining area and large lounge opening onto entertainment balcony. 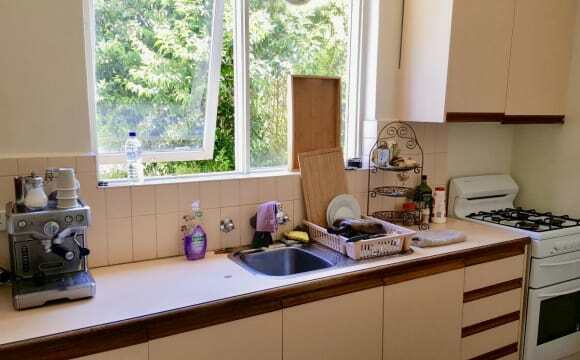 This property is also equipped with cooling and heating, security gate, and alarm system. clean, modern home in a super-safe well serviced area: ripponlea station, elsternwick station, 216, 219, 220 buses to brighton beach and city, bus 623 to chaddy &lt;&gt; acland st, bus 246 to acland st, richmond, collingwood, fitzroy and northcote and train 67 brighton rd &gt; swanston st.
brand new 3-bedroom apartment is now available! Renting as full apartment and not by rooms Beautiful brand-new apartment, 3 big size bedrooms, large living area and new kitchen, furnished including beds, TV and more. Just been renovated and all new appliances including oven, dishwasher and cooktop. Located in a top location in Elwood; trams are right outside your door, 7 minutes’ walk from Ripponlea train station, 10 minutes’ walk from IGA, 6 minutes driving to Elwood beach. Looking for a group of up to 6 friends to rent the whole apartment. Price is $900 per week including furniture and internet access. Parking space is also available, secured and covered. $2,000 security deposit 4 months minimum lease. Please contact me if interested in having an inspection. I absolutely love this apartment, it’s extremely spacious. It’s on the top floor in an apartment block in Elwood, over looking all the beautiful trees. Windows all around which creates loads of light. It is also fully furnished so for someone that has nothing other than bedroom belongings.. this would be perfect. The place is extremely clean and tidy.. new modern furniture and a slight plant obsession.. so lots of greenery. 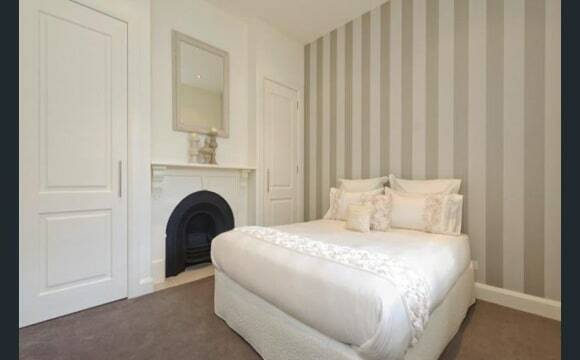 The bedroom is an average size, built in wardrobe, room for a queen size bed and maybe some drawers. Shared bathroom, double sized shower and separate toilet. Off st parking available, also tram stop out the front and a 5 min walk to either Ripponlea or Elsternwick stations. 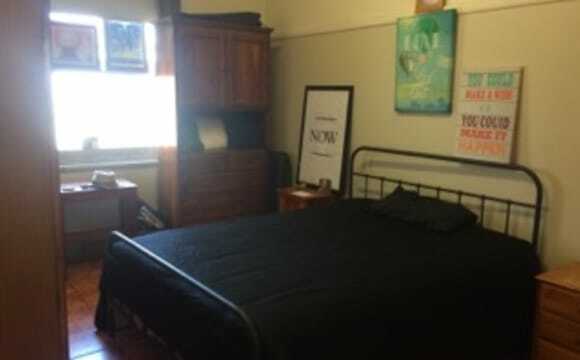 Room available in Elwood. $912.50 PCM. Bills shared equally on top of monthly rental. $1050 bond Room is unfurnished. The rest of the apartment is mostly furnished but room can be made for belongings you may want to put in communal areas. The apartment has a modern kitchen and bathroom, a balcony, AC and is located on the second floor. The number 67 tram is right out the front and Ripponlea station is a 10 minute walk. You will be sharing with me, 32yo male. I am a working professional who sometimes works odd hours due to the nature of my work. I am clean and respectful of personal space and privacy. I don't mind hanging out and watching Tv or having a beer if I am around. I am looking for someone in a similar position to fill the room. You will be signing onto the lease and bond so you will need rental history and employment. please no students or travellers. 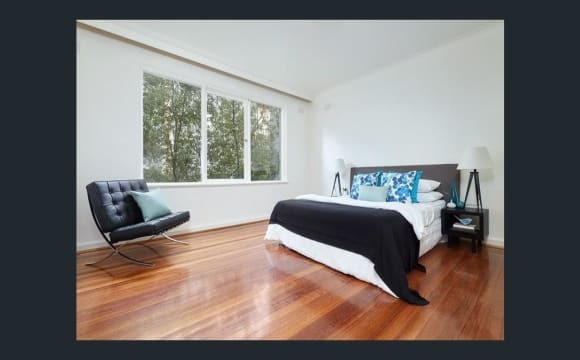 FURNISHED ROOM FOR RENT IN RIPPONLEA!! Available as of NOW PERFECT LOCATION!!!!!! 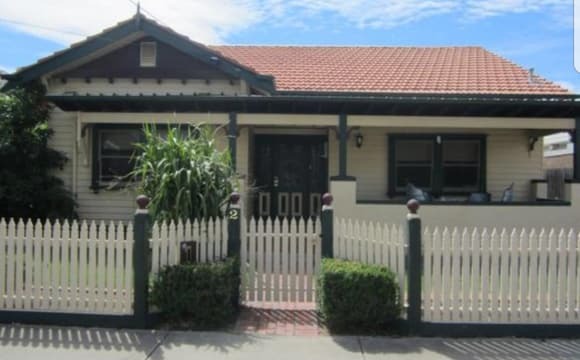 - Only a 2 minute walk to Ripponlea Station (14 minute train ride to Melbourne CBD)!! - Bus to Caulfield, Monash campus available as well - A brief walk to Ripponlea village where all the shops, cafes &amp; restaurants are (which is also on the way to the station) - Decent sized room with heating to keep you warm all winter! - Room comes fully furnished with a queen bed - The room also has a dresser, desk, chair and wardrobe, plenty of cupboard space - There are 2 toilets, a shower, well equipped kitchen with large fridge and gas stove - Comfortable spacious living room and private courtyard. - Both indoor and outdoor fireplace. - It is a Victorian home, that has a beautiful cosy fireplace in the living room, old style house full of heart ‘n’ soul, with high ceilings, creates a rich character that modern homes lack. - Every bill is included in the rent - Wireless wifi internet also included - $444 per week (or $369 per week for the smaller room) - Perfect house for people looking for a less crowded and spacious place with good vibes. Please message me for any questions &amp; if you’d like to book an inspection. Interstate/international guests are welcome to have an inspection of the house over Skype or FaceTime. Thank you &amp; best of luck! A two storey house with loads of space and large rooms, only a 5 minute walk to Ripponlea train station and two minute walk to 67 tram stop + 623 bus stop. Located a 20 minute train ride to the city and next door to all the beaches and cafes you can dream of. Walking In there is a entry room that has one of the shared toilet/shower rooms on your left and a bedroom to your right, walking straight in, opening up into a very large living and dining area with full dining set large lounge and tv all with the comfort of the slit system aircon. Off the living area is the fully equipped kitchen with two fridges loads of cupboard space and a bar that opens up into the living area as well. Going upstairs there is a bedroom followed by the second toilet and shower just before you find your bedroom. Your bedroom has its own split system aircon with queen bed and walk in wardrobe and access to the shared balcony between the second bedroom. The room is available for couples with queen bed, or can be offered as double room for friends with two single beds. All bills are included: Gas Water Internet (unlimited) Electricity Weekly cleaner Netflix House is fully furnished with furniture, appliances and dishes. All you need to do is unpack your clothing, put your food in the fridge and relax. Your room includes: The second largest room in the house and has a massive full wall built in wardrobe + your own additional walk in wardrobe with mirror. This room has it own split system aircon / heater for year round comfort. Will also have it's own tv on stand (still to be installed) Stand up mirror (not in photo) room also has an entry to the shared balcony, which is only shared with the other bedroom upstairs. Looking for someone to take over the lease on my one bedroom apartment in St Kilda East. Lease ends in November 2019 with option to renew. Great location - 2 mins walk from Ripponlea station, 10 min walk from Balaclava station. Only 6 apartments in this block, it’s super quiet and the neighbours are friendly. Off street parking and washing machine included! We are looking for someone short term 2- 3 months. The house is big with large back yard and deck to chillout on. The room is a decent size, furnished with own private bathroom. It's 7 minute walk to Ripponlea train station and 20 mins to the city. There is off street parking. Close to all amenities, cafes and few local bars. The room is a light and bright loft and has windows on both sides. Rain on the roof is magical and the breeze of a warm evening is heavenly. You have everything you need: medium-large room with ample space for a queen or king bed, comes with shelves, free-standing robe, built in cupboards and independent air con. The shower is sensationally hot and strong. You will need only your bedroom furnishings and whatever knick knacks and decorations you need to add your own touches and make this place yours as well. 2 minutes from Ripponlea train line, no. 67 tram and a bunch of nice cafes and bakeries. You'll fit right in if you don't mind the odd energetic shower ballad, can handle exotic food and beer fetishes and can attest to reliably adulting...most of the time. Extra points if you smoke a corn-cob pipe or have a green thumb. No couples unfortunately, just you. You'll find us a good fit if you love a laugh, a drink and second servings of dessert. Hiya, We share a 3 bedroom, 1 bathroom apartment. You will have your own room with a generous built in wardrobe. In an old art-deco building the apartment has had a recent facelift with spacious kitchen, dishwashing machine, two balconies, split system (Heating/cooling), coffee machine and adequate street parking. The apartment is light, airy and includes internet and a shared house Netflix account (Approx. $20 a month). We pay all other utilities quarterly. Large Victorian Terrace, wooden floors throughout, split gas heating system, modern kitchen appliances, large sun filled courtyard out back . Easy offstreet parking . Fantastic location - 5 mins walk to two train stations - Balaclava and Ripponlea as well as to the local shops. 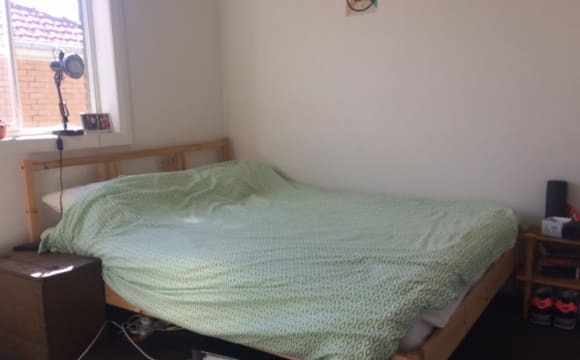 Close to st Kilda / Prahran and Port Philip Bay Two rooms available however will consider a couple ( you get a seperate room as a studio/ study/storage space) . Price negotiable. Great views of the bay and city, has a cinema and train station a block away. A 15min walk to the beach. A 15min train ride to the city. Cheap property in an ideal location, 10 minute tram to St Kilda and 15 minute train to Flinders Street on the Sandy line. Good sized room with lots of light. Furniture available includes a bed and mattress + sheets, a small shelf, a bed side table, lamp, fan and some fake plants, as well as a desk chair (but no desk, enough room for one though). Available to move in on 2nd June, and lease is available until 2nd November, so a 5 month period. The rent is 695$ a month, and the bond is 1000$. Welcome to our sharehouse in Elwood. Location: Centre of Elwood - 10 minutes walk to Elsternwick train station and 10 minutes walk to the beach. Available: April 30th. Sharing with: Josh and Jarrod. Looking for: A housemate we can feel comfortable around, hang out and also do our own thing. The bedroom: Has tall ceilings. A queen size bed Large built in wardrobe (floor to ceiling, 3 metres long) Split system aircon/heating. Skylight/ window. The rent is: $1066 per month including bills (works out at $230 rent per week) Check out the pictures for the bathroom (walk in shower), kitchen (including dishwasher, induction stovetop), living room (big TV can connect to laptop), backyard (with a Hills Hoist!) and laundry (washing machine and dryer). At the back area of the house there is a second bathroom, and a new bath/shower is being installed as well as a second living room - you have to see the place to check it out. The garage is used for storage at the moment. You can park on the street with no restrictions. Great natural light, huge bedrooms and shared spaces, quirky bathroom tiles, new refurbished kitchen, 2nd floor away from noise &amp; nosy passerby's, &amp; prime location The apt will need furniture when my current housemates move out which is a perk &amp; worth noting the photos do not necessarily do justice to the space and comfort of the apt.